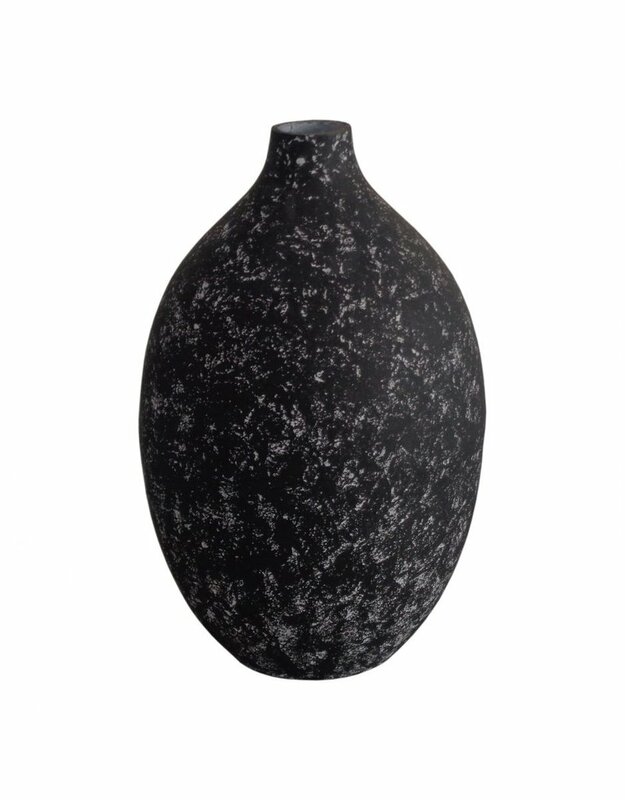 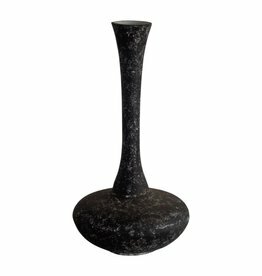 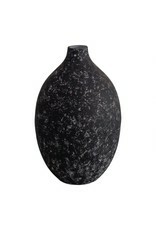 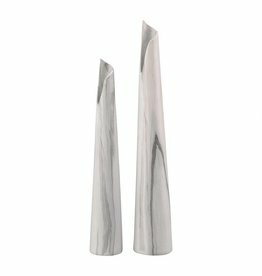 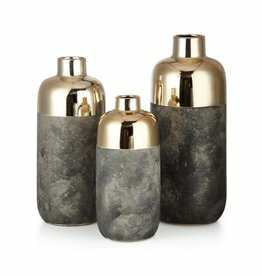 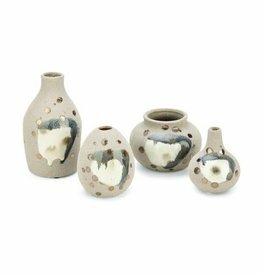 The Saturn Vase has a large, egg-shaped profile and a rustic, black finish. 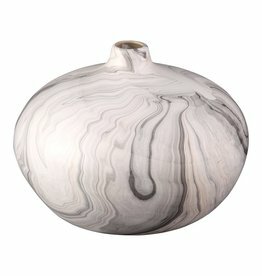 It's perfect for holding flowers or displayed on its own. 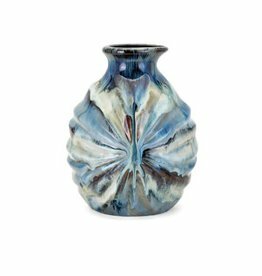 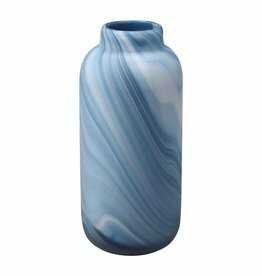 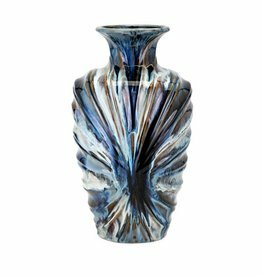 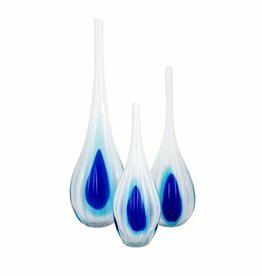 Bright blue accents add flair to these handcrafted artisan glass vases.